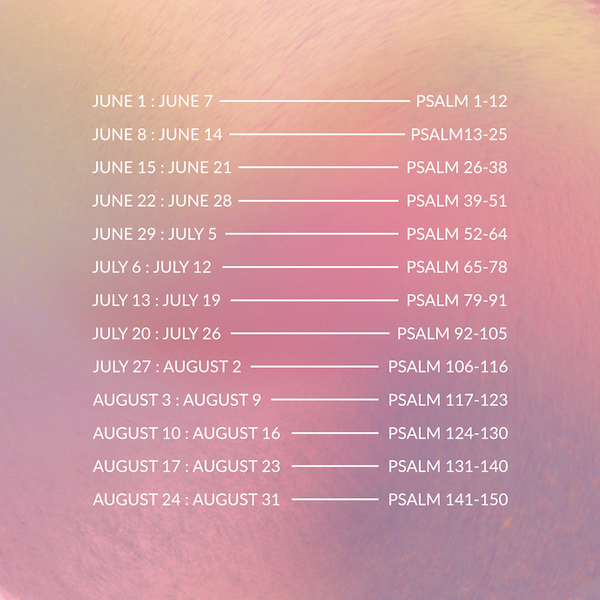 Our church body has the option to join us in reading all 150 Psalms throughout the Summer. While reading these Psalms, several women from our church have written reflections on those texts and we are so blessed to share them with you. This is one of the verses that was on repeat in my mind during my freshman year of college. Reading this passage takes me back through a number of years and events, remembering feeling as if God put this in the Bible just for me. We have all had months, or years, where we could relate, haven’t we? My soul thirsts for God… my tears have been my food all day and night… why are you cast down?… why so disturbed?… why must I go about mourning?… my bones suffer mortal agony. For me, it was broken relationships. A devastating miscarriage. Postpartum anxiety. Sometimes just the reality of parenthood, marriage, and life that bring me to a place of desperation and thirst for peace in my spirit. For God. This Psalm not only reflects the struggle in my heart so well, it brings me to a place of truth so that I can experience the peace that only God can offer. I’m going to take a couple of minutes and unpack this Psalm, and see how it can help direct our eyes to Jesus. First of all, I love this Psalm because it makes me feel normal. For a long time, I believed that if I felt struggle or unrest in my spirit it must have been from a lack of faith, or that I wasn’t spiritual enough, or I didn’t trust God enough. I love that this Psalm allows us to go there. It allows us to call out our true feelings without feeling like we need to stuff them or fake it. Instead, he models how a heart in turmoil should cry out to God for help. When I read this Psalm, it gives me permission to be completely honest with God, breaking down walls and dispelling lies. The truth is, He knows our hurts and our struggles anyway. We are able to find deeper intimacy with God when we confess the ache in our spirits, when we cry out to our Daddy, begging him for peace for our spirits. This kind of vulnerability with God invites him in. It allows him to be the God He wants to be to us. When we become small it allows him to be made great. It allows him to cover us, to be our rock, to be our Savior, to fill us with his true joy. That is exactly where we need to be, resting in who he is. Not only is the man in this Psalm crying out in his pain, but he is also talking to himself, directing his eyes to God. He says, “Put your hope in God, for I will yet praise him…” So often I get stuck in my own mind. Ruminating about all of those things that put my mind in turmoil. Sometimes fear, anger, sadness; but instead of wallowing in those emotions, this Psalmist tells himself to direct his eyes to God. This is something that does not come naturally to me, talking to myself. It is only in recent years that I personally have focused on the self-talk that is going through my head. I was surprised, as I paid closer attention, to discover that much of my self talk was rooted in fear or lies. It can take considerable effort to set my mind on Christ, especially when life around me feels hard, but that is exactly what this Psalmist does. He tells himself, put your hope in God. Another thing this Psalmist does is remember the goodness of the Lord. In verse 4 and verse 6, he uses this remembrance to direct his eyes to the way God has delivered his people in the past. Times of joy and praise. Times of promises being fulfilled. My soul is downcast within me; therefore I remember you…(v.6) This remembrance acts as a response to his downcast spirit. It is so easy, in moments of depression and anxiety to feel as if things will never change or get better. This Psalmist calls his spirit to find relief in the God who was, and is, and is yet to be. None of us get through this life without our own bruises and pains. Our humanity promises this. But in those moments of desperation and turmoil, this Psalm shows us that we do still choose where we place our hope. Continuing to hope in the things of this world will continue to leave us dry. 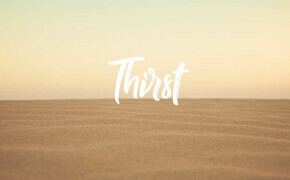 Instead, we must thirst for the Lord. Directing our thoughts to Him, remembering His goodness, and finding our confidence in the living Rock Who will protect us and bring fill us with His true peace.